Femi Adesina, the Senior Special Assistant to President Muhamamdu Buhari, has said those planning to protest on the February 5th alongside singer, 2face Idibia and other celebrities are those who supported the last administration. 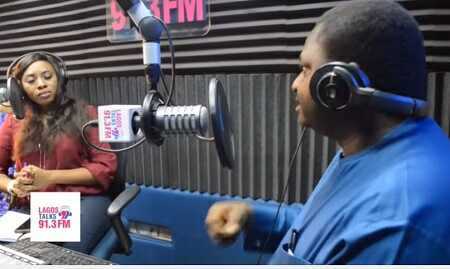 He made the statement during an interview with Lagos Talk 91.3fm. "This is a country of about 180 million people. It is impossible for 180 million people to think the same way. Yoruba has a saying that is you all sleep and put your head in the same direction, then you are all foolish because you would be breathing in one another's mouth and lungs. Dont forget the last election and how it went. Somebody scored 12.5 million votes, another scored about 15 million votes. "There are some people who are still in that election mode. They have not gotten out of it and till today, they are still living and 'rheumatisizing' about the past. What they don't know is that that past is gone and gone forever. Majority of those calling for the protest are still in election mode. Majority of them are people that have resolved not to see anything good in this administration simply because the man they wanted lost at the polls" he said.